If you’re looking for a staggering jackpot, check Unibet Casino as it offers a whole host of massive cash prizes. There are three jackpots worth more than $1 million up for grabs, in addition to many other amazing cash prizes. Spin the reels of three rewarding slot machines if you’re seeking a multi-million fortune. Let’s kick off with the top jackpots. The Dark Knight is an exciting video slot with five reels and 243 ways to win. This slot machine is packed with four progressive jackpots: the mega, major, minor and mini. The mega jackpot has climbed to a whopping $3.6 million. It doesn’t come as a surprise that the Dark Knight is an extremely popular slot game. 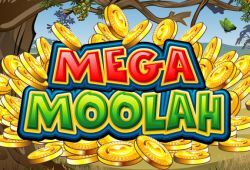 The Mega Moolah video slot is another generous option as its mega progressive jackpot has risen to more than $3.6 million. Look out for the bonus game that features a wheel of fortune, enabling you the chance to win one of four progressive jackpots. The mega jackpot always starts at $1 million and continues to rise until someone gets lucky. Visit Unibet Casino and choose one of the many staggering jackpots that you would like to win.